This big beautiful boy is living proof of the importance of matching the right horse with the right owner. 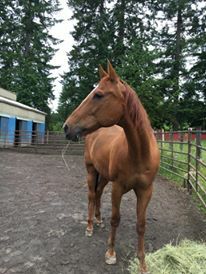 Rusty was a sensitive horse who was purchased for a beginner with little horse experience. His became more and more troubled and developed traits that were seen as dangerous by the owners. He behaved in a way that got his needs met when things at home got difficult. 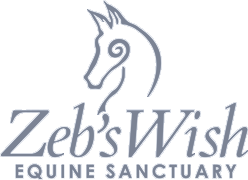 Fast forward and he and his herd of 5 minis were removed from their home and brought to Zebs Wish in the fall of 2016. With time to heal, put on weight, develope needed muscle and receive some solid behavioral training, Russ blossomed into a magnificent and kind horse. We are so proud of our boy Russ! You have come so far! The handsome Rusty met the love of his life in the fall of 2017 and was adopted. He and his momma now enjoy hitting the trails together. Go Team Rusty!